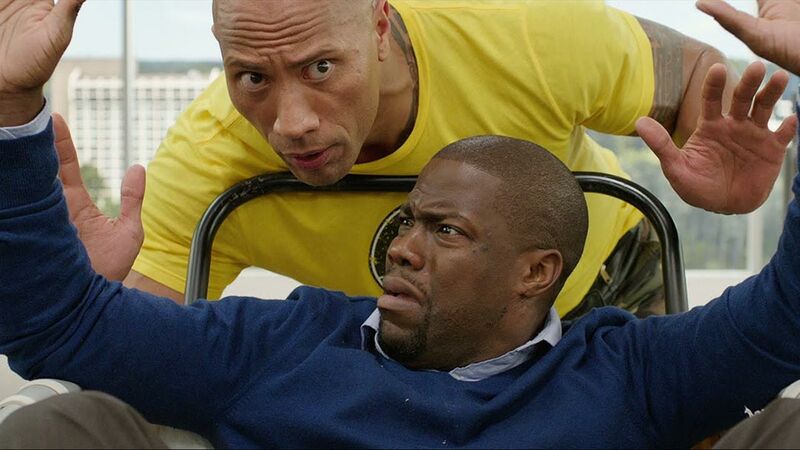 Teaser Trailer for Central Intelligence. Central Intelligence marks the first joint venture between Warner Bros. and Universal Pictures since Twister, in 1996. 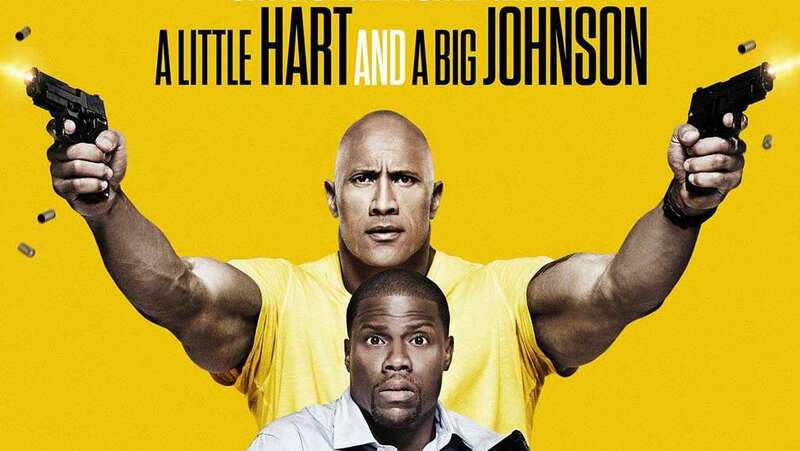 This is also the first movie where Kevin Hart and Dwayne Johnson have worked together. Dwayne Johnson is a full foot taller than Hart, and over one hundred pounds heavier. Do you ever stalk people from high school on Facebook end up totally surprised by a former classmate's choice of career? I do. Probably more than I should. This is the basic premise for Central Intelligence; Calvin (Hart), once the coolest kid in school, is now a serious, sensible, mild-mannered accountant. Meanwhile Bob (Johnson) was the overweight, nerdy guy everyone laughed at, and now he's a buff CIA agent who kills people on the regular. When the two reunite via Facebook, Calvin ends up embroiled in Bob's latest case, and despite Calvin's reluctance to be a part of it all, Bob really needs his help in saving the world. The teaser trailer is fun and upbeat, largely thanks to the addition of Salt N Pepa's "Whatta Man" which is always good to hear. 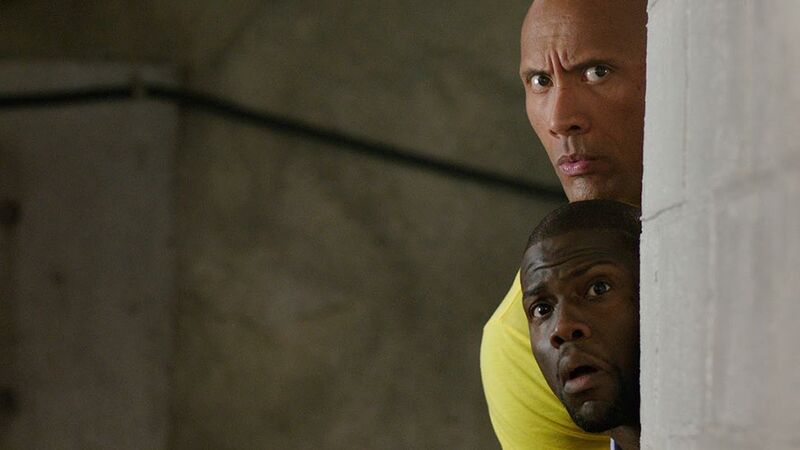 While this comedy isn't going to win any awards for its intelligence, and while it might be silly in places, Central Intelligence still looks to be a fun film. For a start, Dwayne Johnson- who will always be The Rock to me- is actually a pretty good comedic actor. I definitely prefer this side to him over his serious stuff. He plays off of Kevin Hart well, too, who is a naturally funny guy. In the trailer above, the two bounce back and forth with their banter and both are at ease with one another on the screen. Of course, the height difference between the pair is exceedingly noticeable, and no doubt it will be the subject of many jokes throughout the course of the movie. As for the box-office, Central Intelligence might not fare incredibly well, but neither do I think it will flop. It should be successful enough that we might see Johnson and Hart pairing again for another movie, and I realize that this is something I'd actually welcome. May 24, 2016 Are You In or Out?